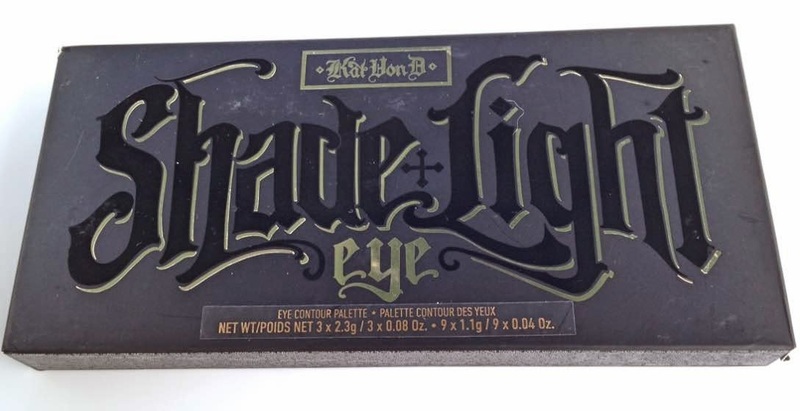 Kat Von D is a brand that I have never bought anything from before simply because there are no stockists in Ireland or the U.K. and I have never wanted any of the products enough to warrant a Sephora order............ until now! There are a number of products from the brand that have piqued my interest before but never in this way. When I saw the Light & Shade contour palette, I was tempted but because I already own the Anastasia Beverly Hills Contour Kit and Smashbox Contour Sticks, I decided against buying it because I pretty much have contouring covered. However, when I saw the Light & Shade Eye Contour Palette, I knew that I couldn't resist. It just looked completely stunning in any photos I had seen online, so when I saw Rose's Beauty Store had it in stock, I bought it without any hesitation despite the price! I am not affiliated with Rose's Beauty Store in any way, but I have bought products from them that we can't buy over here 4 times at this stage and have always had a great experience. I was also tempted to buy the eye contour brush, but at £28 it seemed very expensive for a single brush and actually looks exactly like the Real Techniques Deluxe Crease Brush on one end and the Sigma Pencil Brush on the other, both of which I already own so it really would have been a waste of money to double up on those. The packaging is a heavy cardboard with magnetic closure and seems quite sturdy, although I personally prefer metal cases for eye shadow palettes. Also included in the box, is a get the look card with directions on how to achieve three different looks, depending on your needs: Define, Lift and Balance. I really, really love when brands include these cards. Now on to the palette itself! There are 3 quads in the palette: neutral, cool and warm but I have actually mixed and matched them so they all work for me. My absolute favourite shadows are Succubus, Ludwin and Solas. 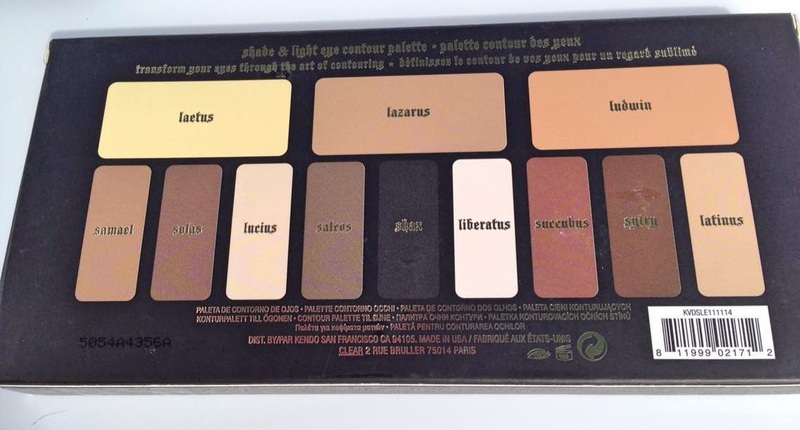 It is an all matte palette, as you can see from the picture above. There isn't even a hint of shimmer in any of them. I don't own any all matte palettes and have never been tempted before because I sometimes find that matte shadows can be very chalky and difficult to work with, also causing fallout, but not these babies! These shadows are unbelievably soft, creamy and buttery meaning that they are very easy to work with and blend. The creaminess doesn't mean that you lose out on pigmentation at all - these shadows are insanely pigmented. I have used this palette so much in the two weeks that I have owned it and although it is one of the more expensive palettes in my collection, I don't regret the cost at all. 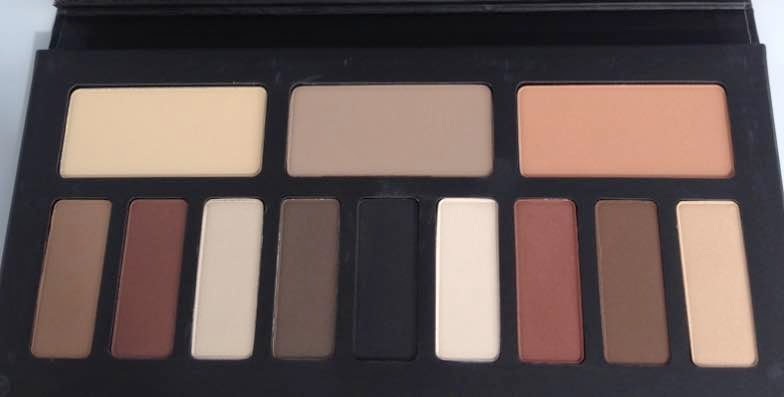 This is more than just a neutral palette and I would prefer it to any of the Naked palettes. It is an investment at £52, but if you decide to buy it, you won't regret it plus it's actually 3 quads if that helps you justify the cost?! If only it was easier to buy this side of the Atlantic! Have you tried anything from the Kat Von D range? Do you like the look of this palette?